Little Looms: 2016, 2017, and now 2018! As a longtime multishaft loom weaver, I came to rigid-heddle weaving hesitantly. My misconception was that rigid-heddle weaving was not “real” weaving. However, a local yarn shop was looking for a rigid-heddle weaving teacher, and a guild member pressured me to give them a call. I had never woven on a rigid-heddle loom, but I was aware of direct warping, and I agreed to take on the class. I watched some videos, read some books, and within 2 weeks felt capable of teaching my first class, relying on the new techniques I had learned and my general knowledge about weaving and yarn. Little Looms wasn’t available at the time, but I wish it had been. Luckily, I inherited students that hadn’t yet learned the direct warping method and were eager to learn it. They also hadn’t yet planned their own projects, so I added that to the first couple of classes. Anyone who has taught weaving can tell you that having a room full of students all working on their own projects of their own design can be harrowing, but in this case there were only 5 students; they were patient, and it all worked out fine. Some time after the 3rd or 4th class, I needed to step things up, so I taught pick-up techniques, hem stitching, how to warp with 2 heddles, and how to finish a project. About that time, I came to realize that rigid-heddle weaving has certain advantages over multishaft weaving, and when it is approached meaningfully, it can certainly be considered real weaving. I borrowed a loom from my guild and wove several projects on it. I marveled at the ease of direct warping and the fun of developing a pick-up pattern. Unfortunately, not long after, the yarn store was sold, and the new owner decided to cancel all weaving classes. Besides the fact that I missed my students, I felt bad for them. All of them had purchased new rigid-heddle looms and the accompanying equipment and wanted to continue, but the way wasn’t very clear. This was all pre–Little Looms 2016, –Little Looms 2017, and Little Looms 2018. If these magazines had been available, I would have recommended that they buy both. When you are a beginning weaver, it can be hard to advance if you don’t have a teacher to assist you. One of the best ways to learn new weaving techniques is through weaving projects that have been vetted. 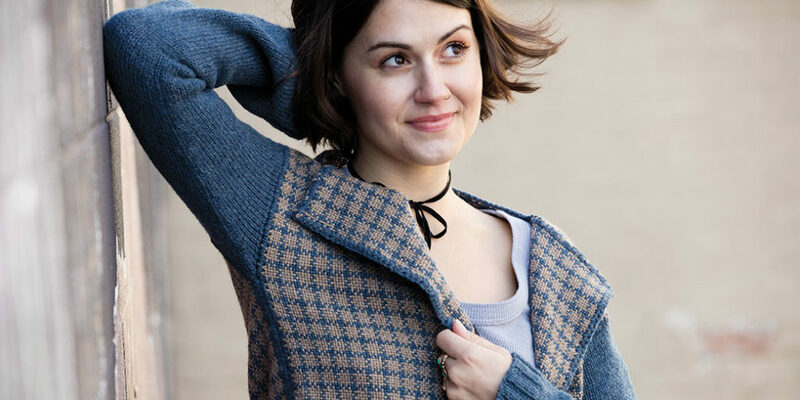 If you know that the yarn, yardages, and sett have already been used successfully, you can concentrate on the new technique while you weave the project, and then perhaps use that same technique in a project of your own design. That’s the beauty of Little Looms: somebody else already figured out the hard stuff. 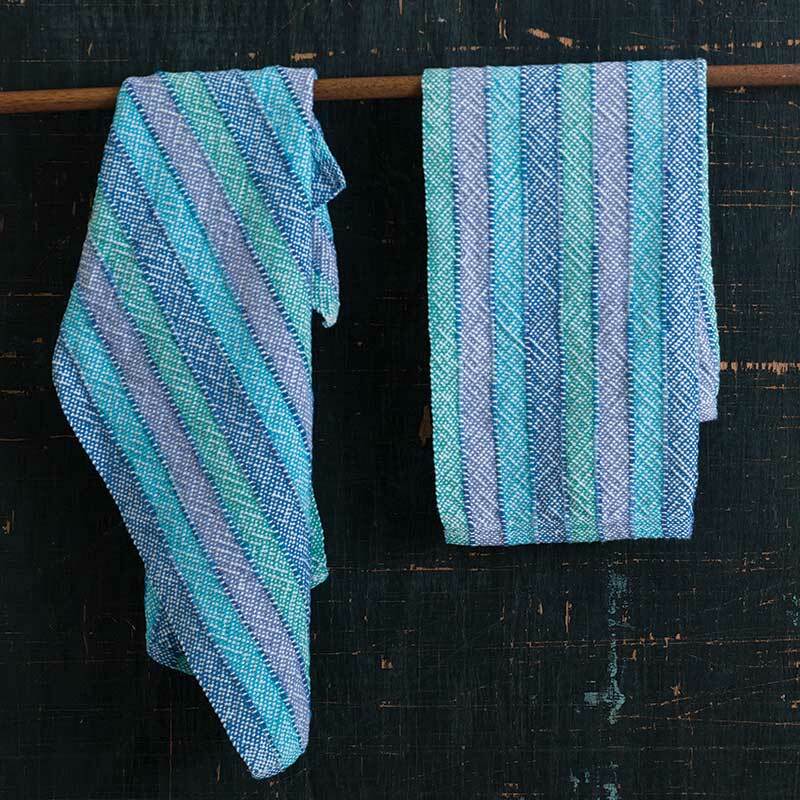 Both magazines have a wide variety of projects, including towels, rugs, scarves, and shawls. They also describe a number of interesting techniques, some of which are used in multishaft weaving, and others that are unique to rigid-heddle weaving. Last but not least in the equation, the projects in both magazines are creatively designed and well executed. Whether you’re a new rigid-heddle weaver or one who has woven for a while, the Little Looms magazines will provide you with new projects and techniques that will advance your skill level in weaving while also providing you with a beautiful end product. Get the print edition of Little Looms 2017 today! The print edition of 2016 sold out quickly! I absolutely agree that rigid heddle weaving is real weaving! Just because these looms are easy to use and portable doesn’t mean they are inferior, these are actually great benefits. With rigid heddle weaving, it matters what you make of it. It goes far beyond scarves and towels, and I’m grateful for the “Little Looms” magazines to give people project ideas beyond the typical beginner projects. And both issues continue to serve me as inspiration. You also don’t HAVE to do any fancy techniques on the RH to call yourself a weaver. I cannot post a picture here, but I make it a sport to “make big things on little looms”. For example, I just finished a skirt, made on my 10″ Ashford SampleIt. Plain weave, panels sewn together almost invisibly. A rather easy project, but people are ready to steal it when I show it. On Ravelry, you can see pictures of my skirt if you search for “Rigid Heddle Skirt and Cowl” in “Projects”. I first learned to weave on a backstrap loom, and soon learned that many South American techniques were easily transferred to the rigid heddle loom. Its actually far more versatile than big floor looms and many intricate patterns are far easier woven with extra heddles back-strap style, than on a multishaft loom. The Little Looms magazines are marvellous for both new and experienced weavers, and I appreciate Interweave devoting time and effort to developing a library of patterns and techniques suitable for these looms. There is so much more to be learned about them. Not belittling the information on Ravelry and other social media sites, but having a publishing company that can pick these ideas up, contact the weavers who developed them and make them accessible to others is of great value, and I am sure many of us will now never trade our RH looms for their bigger cousins simply because there is so much to explore. When I see what so-called primitive cultures have woven on so-called primitive looms, I know that we have barely scratched the surface of what we can achieve.